Now that you have an idea of what the billing process is like, it’s time to look closer at the claims and insurance portion of that process. Healthcare is one of the largest and fastest-growing sectors of the American economy. Americans spend almost $8,000 annually per capita on healthcare, and a significant portion of that sum is spent on health insurance. Essentially, health insurance subscribers enter into an arrangement with a health insurance company in order to reduce the impact of the cost of medical expenses. There are many different types of insurance coverage plans, and even more ways of paying for them. Most plans share a few basic similarities. Most insurance plans require subscribers to pay premiums, which are essentially subscription fees. These may be assigned monthly or annually. Many plans also have deductibles, which are monetary limits after which the health insurance company assumes the cost of the medical procedure or service. Subscribers may also have a copay or coinsurance arrangement with their insurance company. A copay is a relatively small, fixed sum that must be paid before any medical service is rendered. The co-pay does not count against the deductible. 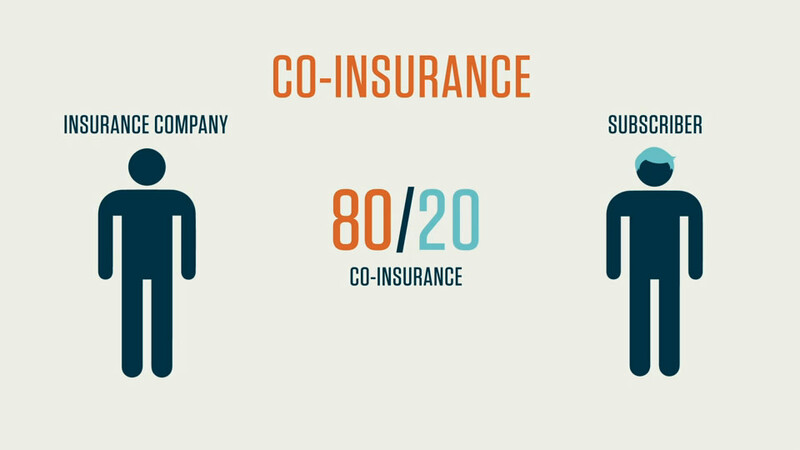 A co-insurance is a type of arrangement with the insurance company that divides the responsibility for payment by percentage. Co-insurances are listed with the payer (insurance company)’s portion listed first, and then the subscriber’s. For instance, if a subscriber receives a $300 medical procedure, and has a 80-20 co-insurance agreement with his or her insurance company, the subscriber would owe 20% of the bill ($60). The insurance company would pay the rest. Now that we’ve got an idea of how some of the basic aspects of health insurance work, let’s take a look at the different types of health insurance. Indemnity is the most basic and straightforward kind of insurance, in that you pay a premium to an insurance company to insulate you from medical expenses. You’ll likely have a deductible and, depending on your insurance plan, a co-pay or co-insurance. Subscribers to indemnity plans have no restrictions on which providers they can see, but indemnity plans are typically much more expensive than managed care options, which we’ll review now. Let’s revisit these now. Managed care organizations (MCOs) are groups, organizations, or other bodies that seek to reduce the cost of healthcare and increase the efficacy or health services through a number of means. Managed care organizations, for instance, may confine the providers the subscriber may see to a specific network of doctors and facilities. In general, MCOs have fixed costs that are lower than most indemnity plans, but restrict the options a patient has for where to get treatment. There are three main types of MCO, which we’ll discuss below. Bear in mind that these are simplified descriptions of these managed care organizations. At one time, HMOs were the most popular MCO option. HMOs operate by providing subscribers with a low premium and a strict network of providers a subscriber can see. If a subscriber sees a provider outside fo this network, they may have to cover all of the expenses from that service out of pockets. HMOs are often among the cheapest MCOs, but are also the least flexible. HMOs also often make use of primary care physicians (PCPs), who may act as “gatekeepers.” Subscribers often need to be referred to specialists by PCPs. PPOs recently over took HMOs as the most common MCO. Unlike an HMO, subscribers to a PPO may see any doctor, physician or other provider, but they pay less if they see a provider within the PPO’s network (hence “preferred”). PPOs generally have higher premiums, but allow for more flexibility for subscribers. A slight variation on the HMO model, subscribers to a POS plan fulfill most of the medical needs in-network, but are allowed to go out-of-network if they pay a higher fee. Many POS plans are tiered, so that a subscriber pays more if they see a specialist out-of-network, but less if they are referred to that specialist by an in-network PCP. A relatively recent development in the world of MCOs, CDHPs enable subscribers to receive PPO-like benefits only after they’ve paid a certain deductible. This deductible is usually quite high, but comes with low premiums and a “savings account” that works like a retirement fund. Subscribers may put money into the account to help pay for out-of-pocket expenses. Why do we need to know about all these different types of insurance coverage? Because each of these affects the way we create claims. Let’s say we’re billing for a procedure that costs $1500. The patient who received the procedure has a CDHP with a deductible of $1000. In order to create an accurate claim, we’d look at the patient’s coverage plan, and assign the $1000 deductible to the patient, and then pass the $500 on to the payer. Likewise, if we’re looking at a patient with coverage under an HMO, but that patient sees a provider out-of-network, we need to know that we can’t send a claim to that HMO, but must instead bill the patient directly. (Recall that HMO subscribers cannot receive insurance coverage if they see providers out of their network). Knowing the ins and outs of insurance plans—what type of coverage they provide, how much to deduct and send to the payer—is an integral part of the billing process. Let’s talk briefly about electronic and manual claim forms. HIPAA regulations mandate that most claim transmissions be completed electronically. That doesn’t mean that all claims are submitted electronically, though that would probably be ideal. Under HIPAA regulations, standard transactions like claims are required to be submitted electronically. There are some exceptions to this rule, however. For one, a practice under 10 employees may use manual claims. Also, a practice that has experienced a power outage may submit claims manually if those claims are time-sensitive. The two most common claim forms are the CMS-1500 and the UB-04. These two forms look and operate similarly, but they are not interchangeable. The UB-04 is based on the CMS-1500, but is actually a variation on it—it’s also known as the CMS-1450 form. CMS-1500 forms are used for non-institutional healthcare facilities (e.g., private practices), while UB-04 (CMS-1450) forms are generally used in institutional healthcare facilities, such as hospitals. The process of billing an insurance company or other third-party payer is difficult to summarize because so much of it depends on variables. These variables include things like the patient’s insurance plan, the payer’s guidelines for claim submission, and the provider’s contract with the payer. Our goal in these courses is to prepare you for formal training in medical billing, not give you fine-grain detail on the various technicalities inherent in the claims process. That said, we will provide you with a number of working examples in later videos, and, in the following courses, we’ll learn about two of the most important aspects of the medical billing profession and its relation to third-party payers: Medicare and Medicaid, and HIPAA. This video explains the insurance claims process for medical billing.